Kenyan boys’ and girls’ football teams have qualified for the quarterfinals at the ongoing East Africa School games in Eldoret. 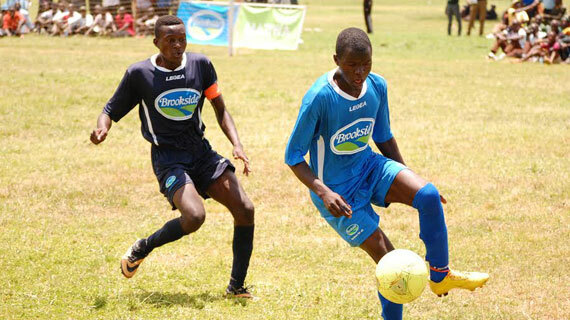 Barding beat Kibuli SS of Uganda 1-0 for their second victory to advance to the next level while Bukembe from Bungoma defeated College Gisenyi of Rwanda 2-1 in their last pool match to sail through. In the girls category, national champions St.John’s Kaloleni drew 1-1 against Masaka of Uganda to get 7 points after winning its first two matches. Nginda on the other hand qualified after edging out Mutunda of Rwanda 4-0. Andrew Omondi scored the only goal for Barding in the fourth minute.They won their first match against Hanika of Rwanda 2-0. Barding Coach Chrisantus Otieno said the target is to make history in the games after debuting this year. “We played for the first time in the nationals and qualified for the regional games for the first time also. We have tried and we are targeting to reach regional finals,”Otieno said. Athletics have been scheduled for Friday and Saturday at Kipchoge Keino stadium with Kenyan athletes hoping to sparkle in the category. East Africa School Games secretary general David Ngugi is optimistic of Kenya retaining the overall title and shining in athletics. “Apart from targeting athletics and overall title, our intention is to win the football title which has evaded us for some years,”Ngugi said.